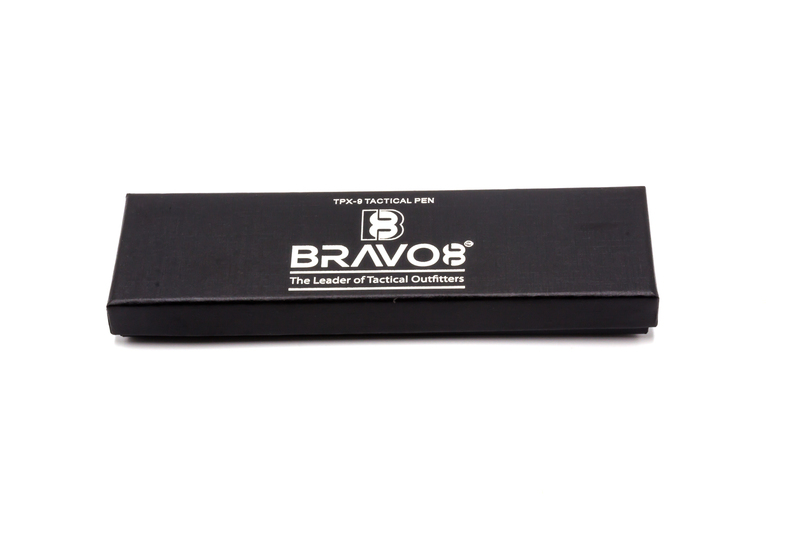 The TPX-9 Tactical Pen from Bravo8 is the most advanced writing pen that features an incredibly bright flashlight & is also a multi-purpose tool that's easy to carry & works in every situation. 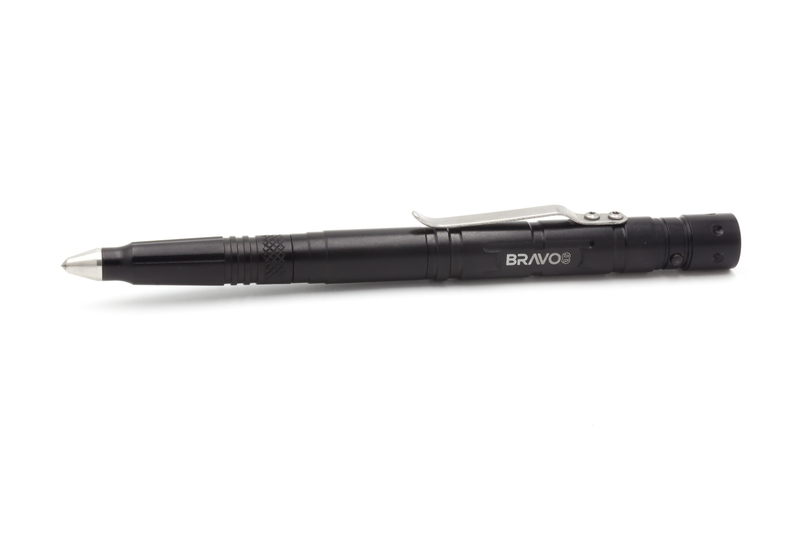 Boasting 80 lumens & durable waterproof construction, our TPX-9 Tactical Pen will work when you need it most. 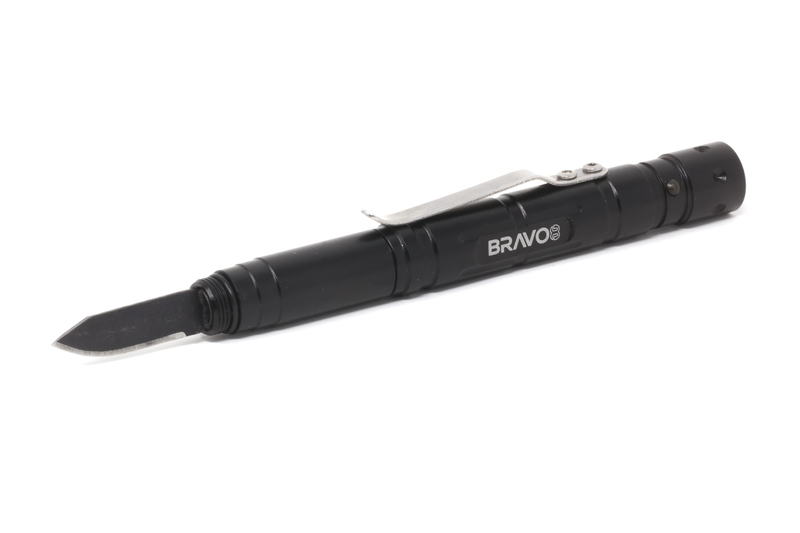 In addition to a powerful light, our pen writes, has a tungsten steel glass breaker & a removable steel blade. The attached pocket clip doubles as a hat clip for a hands-free light if you need it to be. Perfect for military, police, and other first responders, or for anyone who needs a lot of features in a small package. 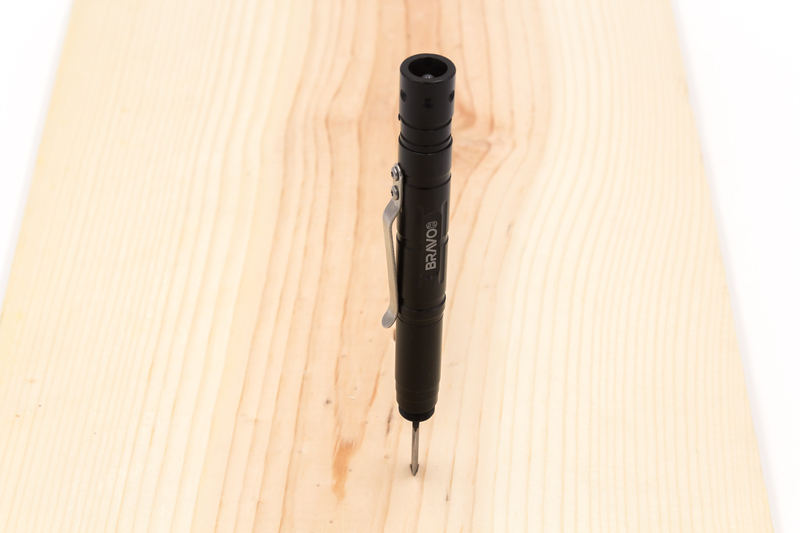 Our TPX-9 Tactical Pen with flashlight is a great way to ensure that you’re covered in any situation. 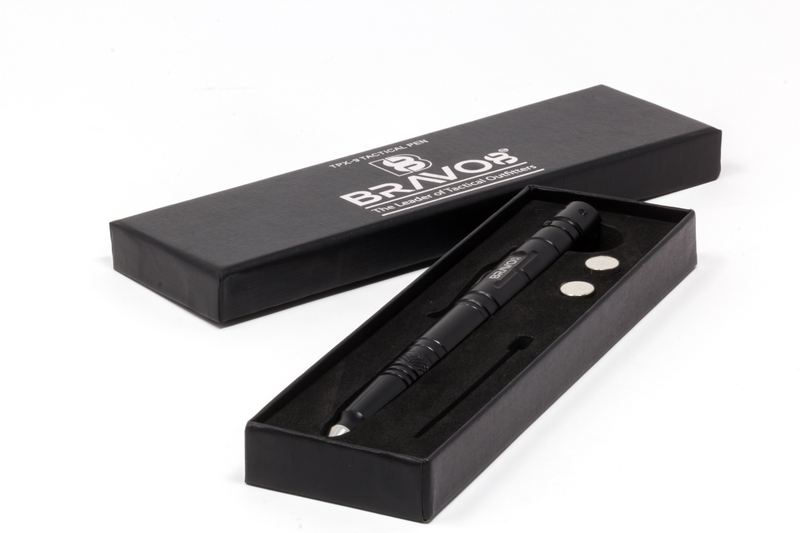 Small enough to fit in your pocket, it's perfect to put in your car’s console, with your gear bags, or even sign important contracts with at your business functions. If you work at night or do a lot of late night hunting or fishing - you definitely need a powerful light that doesn’t take up a lot of space...So do what's smart, pack one of these with your gear for a wide range of functional tools in a sleek, small package. 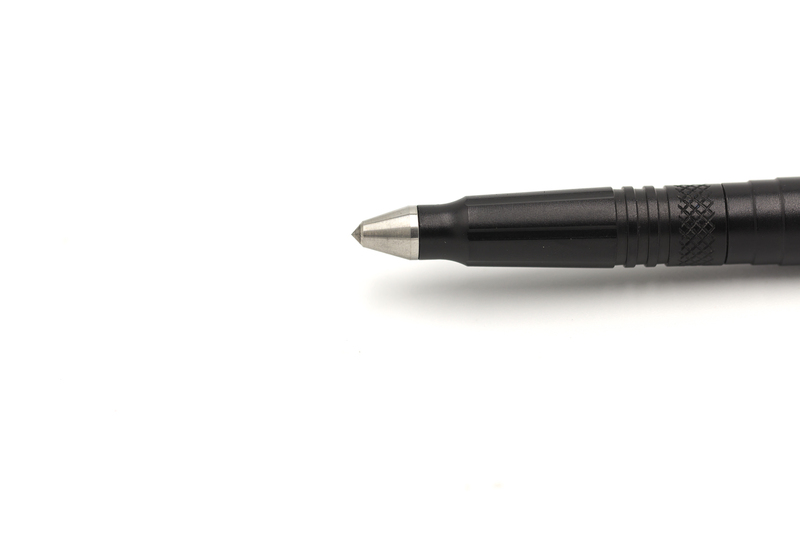 Each LED TPX-9 Tactical Pen set comes with a replacement ink cartridge & two sets of LR936 batteries.